Perlite concrete roof deck insulation is an ideal base for built-up and single ply roofing systems. It has superior wind and fire resistance over other roof insulation materials and with the addition of polystyrene insulation board sandwiched in the perlite concrete, high thermal resistance values, are economically achieved. Positive drainage is easily accomplished by varying the thickness of perlite concrete or by stair stepping different thicknesses of polystyrene insulation board and then covering it with a uniform layer of perlite concrete. Perlite concrete insulation may be placed over vented or slotted galvanized steel decking, precast or poured-in-place concrete, or existing roofing materials, providing a seamless, smooth, and hard surface ready for roofing. If exposed to water it will not deteriorate. Perlite concrete insulation is ideally suited for reroofing applications. It provides permanent, cost effective, slope-to-drain designs with high R values over flat and often irregular substrates found in remodeling projects. Using a perlite concrete slurry coat the polystyrene insulation board is positively attached to the substrate and covered with a uniform layer of perlite concrete insulation. If the existing substrate is sound and capable of the additional loading required then the perlite concrete insulation can be applied to the existing roof thereby eliminating costly tearoffs. 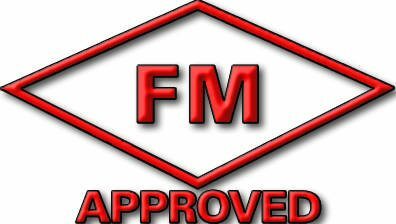 Perlite roof deck insulation systems have been tested and approved for wind and fire ratings by Underwriters Laboratories, Factory Mutual, and other code authorities. The system is rated as noncombustible by Factory Mutual UZ. Design P-920 successfully achieved the first 2-hour rating for any system of this kind under full-scale fire conditions. Perlite concrete roof decks with polystyrene insulation board meet the criteria for U.L. Class 90 and FM 1-90 wind resistance. Perlite is a siliceous volcanic rock mined in western United States. When crushed and quickly heated to above 15000 F., it expands to form lightweight, non-combustible, glass-like particles of cellular structure. This material, white or light gray in color, is about 1/10 the weight of sand or gravel. Perlite aggregate consists of expanded perlite sized for use in lightweight fire retardant plaster or insulating concrete in place of sand or gravel. For easy handling and accurate on-the-job mixing, it is usually marketed in multi-wall paper bags of 3 or 4-cu. ft. capacity ready for use with cement or gypsum. The many, tiny glass-sealed cells in each particle of expanded perlite make it highly insulating as well as comparatively non- absorptive. Thus perlite mixes with about 30% less water than comparable lightweight aggregates. Light weight- Perlite in combination with Portland cement is the lightest of all mineral aggregate concretes. It can be designed with a density of 20 to 50 lb. per cu. Ft. By greatly reducing the deadweight of floor, roof and wall constructions, perlite concrete permits significant savings in structural steel and other building materials. 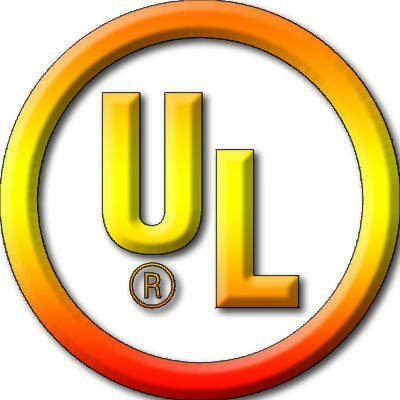 Fire-retardant - perlite concrete is incombustible and has received 4-hour ratings in Underwriters Laboratories fire tests. It is ideal for fire-retardant roof and floor fills, for thin concrete curtain walls and for precast panel and block constructions where insulation and fire resistance are requited. Insulating- Countless tiny air cells in perlite aggregate produce concrete with an insulating value up to 20 times better than ordinary concrete. A 2-inch thickness of perlite concrete provides insulation equal to that of 1-inch top quality insulation hoard, and is entirely inorganic—not subject to damage by water, vermin or fungus. -and then poured, pumped, or plastered into place. Its light weight simplifies handling, speeds construction and reduces cost of placement. The dry concrete can be nailed, sawed and worked with ordinary carpentry tools.